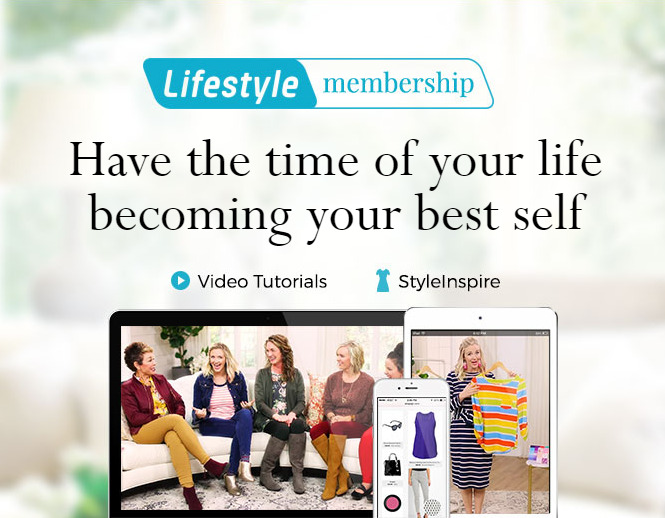 How taking Carol Tuttle's Free Before & After style course will empower you to live and love your natural energy type so you can feel more confident and beautiful every day! I bet we all have taken those personality tests online or in school or for a prospective employer that is supposed to help us, and them, to better understand our natural tendencies and strengths. It can be valuable and fun information to have but kind of dry and impractical. What do you really take away from those tests that you can apply and use to improve your quality of life and is it really the truest measure of who you are? A lot of the time I wind up judging those parts of myself as things I wish I could change. I would often look at the qualities of the other types and yearn to be more like them. And be honest... haven't you ever fudged an answer to a question because you didn't want to be known for that undesirable trait? uh huh... me too... so much for accuracy. Carol Tuttle has developed a way of profiling personalities so unlike what's being offered with any of the other personality tests online that everyone can benefit from! She found that we are all born with an innate, predominant expression of movement that if we aren't honoring it, we can develop a personality that is at odds with our inner nature and core expression. She then developed a system to identify and match your type based on your movement called Dressing Your Truth. Years ago I paid money for it, but now this FREE personality test is COMPLETELY UPDATED and being offered at no cost! And, you get FULL ACCESS to the entire course as soon as you sign up. You may think it's a course about fashion or beauty (that's the second phase of what you will be able to take away from it), but what's special about this fascinating course is that it offers an in-depth way for you to identify your type which helps build a foundation for you to live a better life more true to who you really are and dress in a way that expresses that with confidence. There are no probing psychological questions to answer with this assessment, it just shows you YOU, in quality of movement, specific facial features, and how you naturally express yourself in words and behaviors and then YOU can determine for yourself what Type you fit best and then you'll get to have a uniquely deeper understanding of your true nature and embrace it for it's gifts. This course isn't just for women. Everyone can relate to this personality profile test - women, men, young and old...all family members. You will access information on how to best use this self-knowledge to your advantage for improved relationships, better parenting, having a successful career and you'll even feel more confident in your clothes and show up and feel like the best version of yourself in the world. Once you watch these enlightening videos, you’ll be familiar with all four Types. But Carol has SO much more support to help you feel confident about your Type—so watch the videos first and keep going! Click Here to Take the Free Course Now! I think everyone should have the benefit of feeling acknowledged for who they truly are and also have the insight of learning their inherent gifts and talents and then give themselves permission and freedom to be their natural self. The real gift is that you will learn to embrace and appreciate even those personality traits that you have judged to be faults, weaknesses, conflicts or annoyances & learn to respect others for the same. You rarely see any personality tests online that go into such detail as describing traits such as behavior tendencies, physical features, body language or interactions and expressions... even doodling! What separates Energy Profiling™ from other personality tests online is that it's presented as an interactive video. So you can just sit back taking in the wisdom and insights that are offered and make your own assessment because who knows you better than you? Even if you're not 100% sure of your Type after you watch, there is SO much more support available without spending a dime. Can you see how helpful having the knowledge of your energy profile can be as a spouse, a parent, an employer or employee? I actually have the ability now to study a person's face and body language to get a pretty clear picture of their Type and anticipate their natural behaviors and reactions and can to choose to adjust my own accordingly to have a smoother relationship. Curious about my Type?... Well, I'm a Type 4...thought I was a Type 2 until Carol herself told me I was a Type 4! A funny dressing your truth makeover story that I share with you here (with Before and After pics :) Apparently it's a common mistake for 4's to make. Downplaying their boldness so they can blend in meanwhile denying their true nature. Omg...guilty as charged! This has been quite a revelation in my life and how I view myself, plus I also did the Dressing Your Truth do-it-yourself beauty makeover and now my wardrobe and hair and whole look has changed and I'm actually getting all kinds of compliments and feeling comfortable in my skin. Energy Profiling™ is an assessment of movement.... and dressing and all things fashion is an expression of movement on your body - that's how/why this information is related and... so that your inner beauty can be seen in your outer appearance. Carol just announced in November 2017 that the entire Energy Profiling Course and the Dressing Your Truth course have been combined into something new called the BEFORE & AFTER JOURNEY and it's now FREE. If you've already watched the free course, you know that certain colors, patterns and textures will highlight your natural beauty. If you get those right, you feel like a knockout every time you get dressed. Over the years, Carol has refined the resources that help you really know how to build your best wardrobe. She’s collected all those resources into one place, so you can choose the perfect clothes every time, and love your new style. If you want to eliminate the guess work, I highly recommend getting her Style Kit here. More support for your transformation!